Aaron saw a sign a few weeks back that he pointed out and with a bit of sarcasm said it would be appropriate for me…”Don’t Get Your Tinsel in a Tangle!” I am the first to admit that I can usually get a bit anxious and fall under the pressure of self-made stress a little too easily. Especially around the holidays, when there are big events coming up or when I look at my to-do-list! 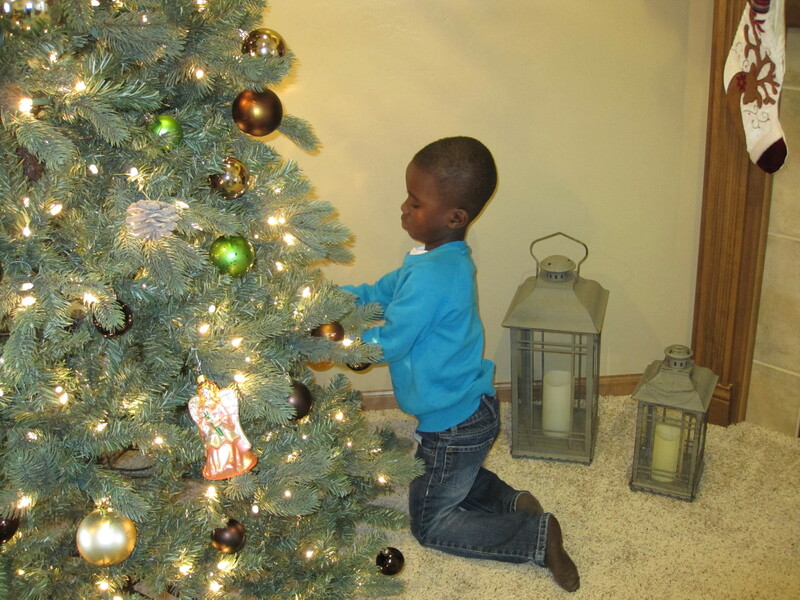 The boys were sooo excited to get the tree set up and decorated! As we entered the advent season in preparation for Christmas this year I decided to make a conscious effort to not be anxious and fight the temptation of allowing stress to steal my joy. I want these weeks leading up to Christ’s birth to be ones where my heart is filled with only peace. To strive daily to live intentionally and to slow down. This is our first advent with our sons, so we are also trying to incorporate a few traditions to help them focus and prepare for the celebration of Christmas. We are trying hard to set aside four nights a week to sit as a family and read a Christmas story and sing a song in front of the fireplace with only the lights of the tree and candles. In addition to the hustle and bustle of Christmas we are also getting our house ready for the arrival of our little lady in just 9 weeks! Yet, I find this even more reason to live these next weeks a bit slower, to soak up the time with my boys and savor these moments before a newborn enters in and the pace of life completely changes. 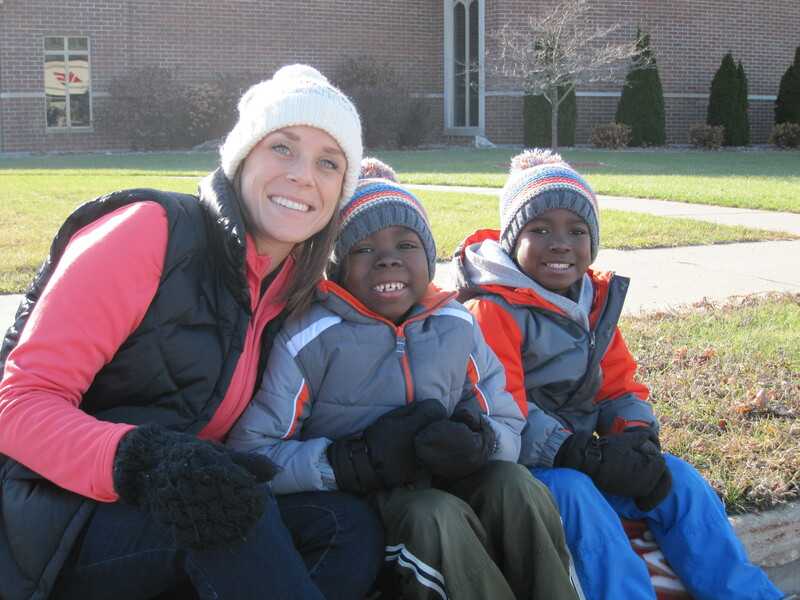 As much as I wanted to get the nursery set up this weekend we took the boys to their first Christmas parade. The light and joy on their faces said it all, not to mention all of the candy they got! I loved seeing them joyously wave and greet everyone with a Merry Christmas!! We are also preparing a gift for Jesus during advent where the boys are making extra acts of kindness, adding pieces of straw for each one to give Jesus a soft bed upon His arrival. I am also hoping to make some Christmas treats with the boys to deliver to our neighbors and the elderly. At the same time not allowing myself to feel pressured to get it all done. In my morning reflection I read this quote, which continues to speak to me of the importance of truly trying to slow down this season. Any special traditions your family does in preparation for Christmas? Dave, as he was growing up, and now our family does the same thing…putting straw in baby Jesus’ bed when doing something good. We can’t wait to meet your little girl. God is so incredibly good! God bless you this Advent Season.